Leeds United welcome Derby County to Elland Road for tonight’s Championship clash and the aim for manager Marcelo Bielsa was to get us back to winning ways after recent defeats. 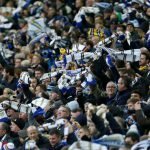 Despite the hiccups in recent matches, Leeds remained at the top of the second tier table with a narrow advantage over Norwich City, but there was one hot topic for fans ahead of the game and the kickoff – no, not the surreal ‘spy-gate’ claims that dominated the airwaves earlier today – would Pablo Hernandez pass his late fitness test having picked up a thigh strain and take his place in our starting XI. Well, with Leeds confirming their lineup for the game, we now know the answer. We did, of course, have another doubt about whether or not Liam Cooper would come back in, but it was known that Patrick Bamford and Izzy Brown (to mention two) would remain sidelined for this game, but there’s plenty of confidence ahead of the tie in terms of picking up all three points as although results have gone against us, performances have remained largely positive. Let’s see how positive at the fulltime whistle.